Welner Enabled (WE) continues Sandra Welner, MD's legacy of devoted advocacy for patients with disabilities. 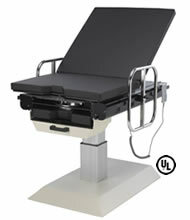 Next Generation Welner Enabled Examination Table – an accessible, hi-lo powered examination table specifically designed for bariatric, geriatric, and disabled patients. the next generation Welner Table, and ways to contact Welner Enabled so that we may be responsive to your needs.